Van Egmond Orchid Substrate is a potting mixture based on tree bark nuggets and peat fraction allowing for a coarse structure. This coarse structure provides optimal air ratios in the pot, allowing for rapid water draining. This is very important to orchids, as these plants require a lot of oxygen, both inside and outside the pot. By adding lime and fertilisers, the potting substrate has the right acidity and all nutrients required for the first 4 to 6 weeks. 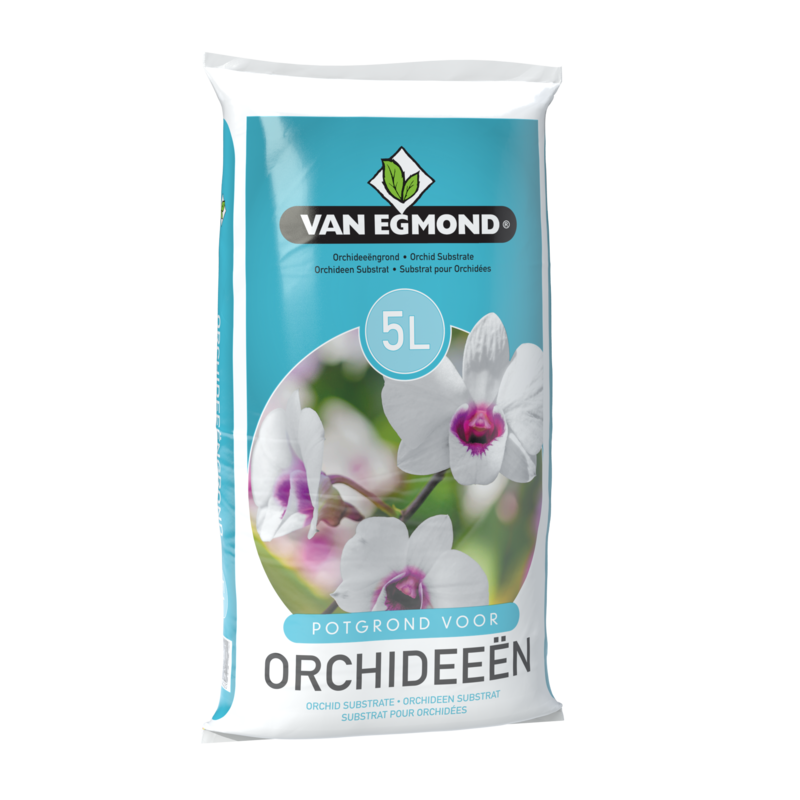 Van Egmond Orchid Substrate is available in bags of 5 litres. Order orchid substrate directly through our order form!